Delightful silver necklace with floral pendant. This superb collier with Swarovski crystals adds a touch of vintage glamour to your Oktoberfest outfit. Featuring a textured cable chain with a cabochon pendant in matching silver finish, this necklace is an homage to the beauty of the lush Bavarian Alps. 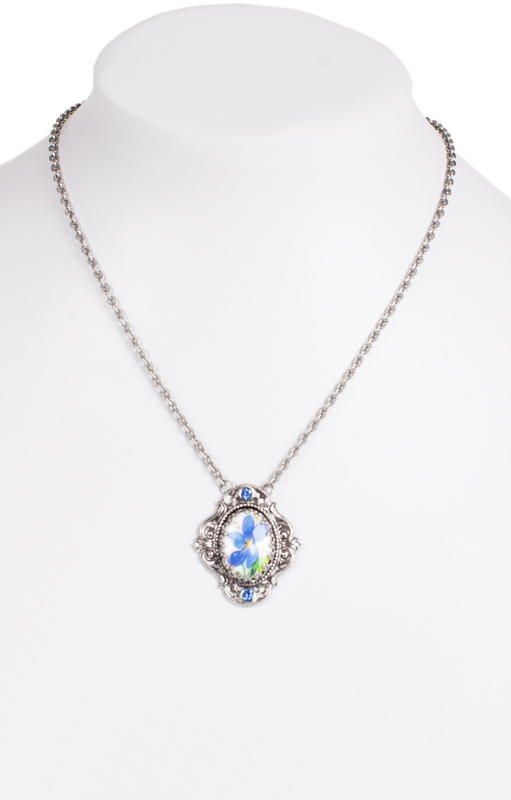 The dainty blue mountain flower cabochon is accented by alpine blue Swarovski crystals, making it a flattering and eye-catching Trachten-style accessory.